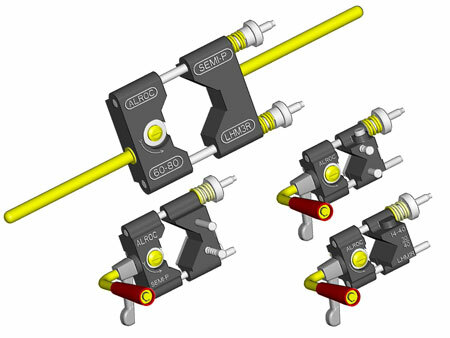 Alroc screen stripping and scoring tools are used by high voltage cable jointers to strip non-bonded ("easy-strip") semi-conductive screens from 6.6kV, 11kV and 33kV high voltage power cables. Alroc high voltage screen scoring tools are designed to remove and strip peelable semi-conductor screens. HV screen scoring tools are available in a range of sizes to deal with varying high voltage cable dimensions, this versatile HV jointers tool works by creating a precise spiral incision with an offset circular blade that is pre set to the specified size of cable it is intended to be used on. This ensures that the screen scoring tool will not damage the layers below and results in a perfect surface for efficient high voltage cable jointing. When scoring screens on MV-HV power cables it is essential to ensure a clean break at the end of the screen - the cable jointer can achieve this by using a round file at the screen cut-off point, having first marked the point with binding wire or a constant force spring which will act as a guide to the jointer for the file. Due care should be taken by the cable jointer when scoring the cable screens to avoid cutting down into the MV-HV power cable insulation. If MV-HV cable insulation is cut or damaged by the jointer during cable preparation, failure of the cable joint or termination (whether heat shrink, cold shrink or separable connector type) will occur. Damage to the insulation during semi-conductive screen removal - this is probably the number one cause of all cable joint and cable termination failures. Care must be taken when cable jointers are removing the semi-conductive screen, any damage or nick to the cable insulation at this stage will result in creating an unscreened air void. Since the dielectric strength of air is less than that of the XLPE insulation, the concentration of electrical stress in this area will exceed the dielectric strength of air. The air will ionize causing corona discharge to occur. These discharges bombard the surrounding insulation 100 times a second, and will result in cutting through the insulation and ultimate high voltage power cable failure. For power, telecommunications and fibre optics cable preparation. 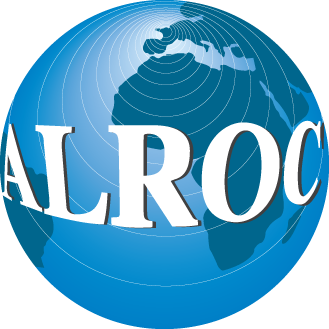 Alroc cable preparation tools enable the efficient dressing of cables by cable jointers including low voltage (LV, XLPE, PILC, EPR, PVC, waveform, consac) and high voltage (3.3kV, 6.6kV, 11kV, 33kV, Triplex up to 132kV) power cables - this covers the removal and stripping of outer cable sheaths, insulation, semi-conductor screens (bonded and "easy-strip" peelable) and lead cable sheaths prior to cable jointing or terminating with heat shrink, cold shrink or push on type cable joints and cable terminations.